I've been on the Vita Coco mailing list for some time now, with varying results. This time, instead of a drink they sent a tub of coconut oil! This solid, lard-like mass came in a lovely box. 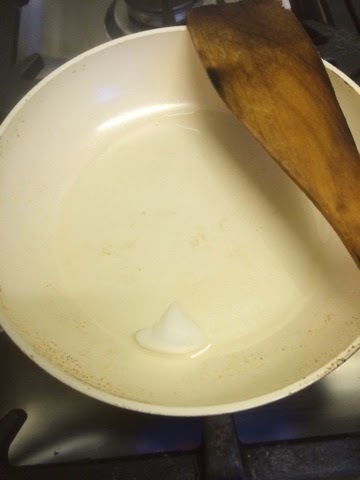 And while it was essentially flakey white lovely smelling stuff it vanishes with a little heating. 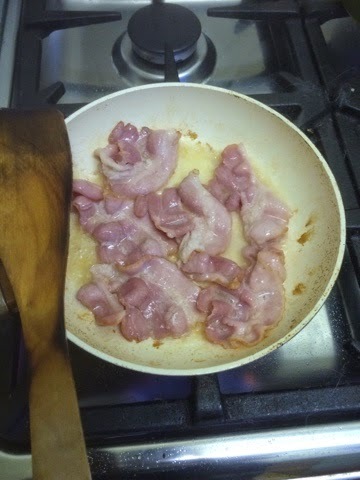 And although the bacon I tried it with was quite water saturated it still fried well. And I think I got distracted and over crisped it! 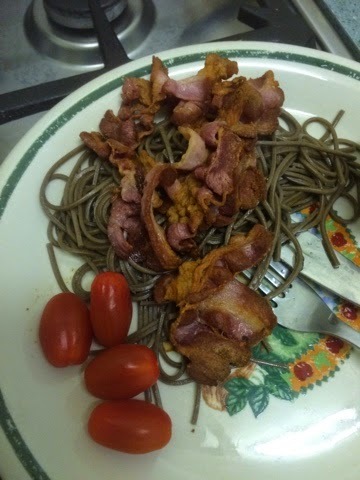 It worked out lovely with the green noodles and a few left over tomatoes. 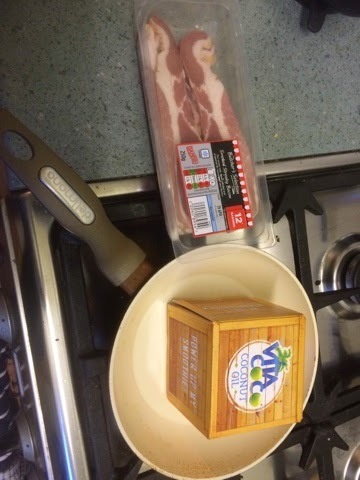 The bacon did indeed have a coconut flavour to it and the kitchen smelt lovely afterwards. 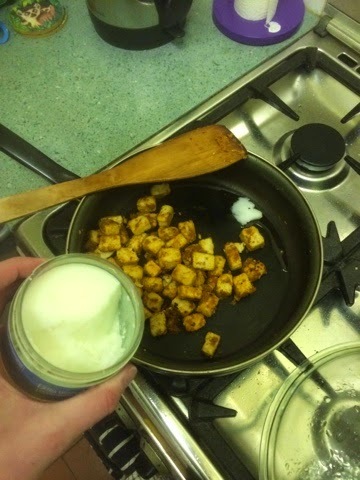 I also did a quorn and Thai curry powder stir fry - here you can see the raw pot too. The quorn adsorbed the flavour better than the bacon and gave a lovely background flavour to the meal. Can't wait to try this with lime and spices! I also tried the beauty treatment of letting it melt in my hand and putting it on my face. This made me very shiny and reflective, but I think also well moisturised. I'm not sure it's something suitable to do Just before heading out, but maybe as part of a longer treatment. And a time when you won't be touching your face much. Overall I'm pleasantly surprised with this product. While I think it's not a great beauty treatment, in theory it is possible. But as a veg oil alternative for certain styles of cooking I'm impressed. I have heard of people using it as a cleanser, so you smother it all over your face then wipe it off with a cloth, and it will remove dirt, makeup etc but leave you moisturised. I haven't tried it myself though. I guess they must add something to this if it doesn't naturally smell or taste like coconut - because it really does both! I mix it into rice or noodles now to get that coconut fried rice taste. Works great for doing a story fry with too.